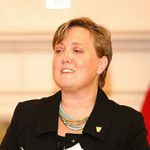 Jaimie Reese, former deputy director of the Navy’s business and civilian resources division, has joined the Marine Corps Systems Command as senior executive and comptroller for the service branch’s acquisition command. The U.S. Navy said Thursday Reese will hold comptroller responsibilities associated with planning, programming, budgeting and accounting of all Procurement-Marine Corps research as well as the operation and maintenance funds of day-to-day operations. “In order to be successful as you progress through your career and assume leadership billets, one of the most important things you can do is surround yourself with the right people,” said Brig. Gen. Joseph Shrader, MCSC commander. Reese previously served as a financial management trainee, aviation lead analyst and shipbuilding lead analyst for the Department of the Navy and as a comptroller for the Office of the Under Secretary of Defense.